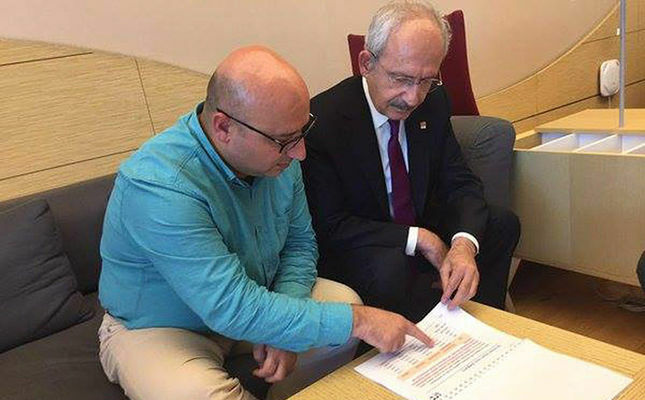 An İstanbul court on Thursday arrested Fatih Gürsul, an advisor to main opposition Republican People’s Party (CHP) Chairman Kemal Kılıçdaroğlu, on charges of using ByLock, a smart phone application that authorities claim is a communication tool between members of the Gülen movement. Gürsul was interrogated by prosecutor Mehmet Şenay Baygın along with 15 other suspects before he was referred to an İstanbul court for arrest. He was subsequently arrested for alleged membership in a terrorist organization. Gürsul had been detained on Dec. 6 as part of an investigation into the Gülen movement, which is accused by the government of masterminding a failed coup attempt on July 15. This article originally appeared in Turkish Minute on Dec. 22.